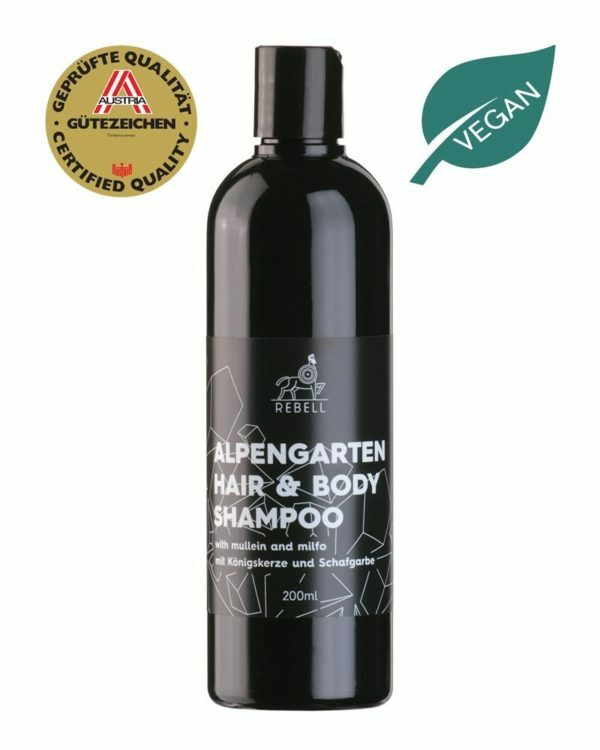 The vegan Hair & Body Shampoo Alpine Garden of the Alpine Series of REBELL is enriched with the natural extracts of the anti-inflammatory mullein, such as mineral-rich yarrow, which has unique broad impacts as a traditional remedy. The Alpine Garden composition and plenty facets – from floral- to spicy varying scent compositions. Heart notes are rose and lily of the valley, while woody notes, musk and vetiver work as the base. 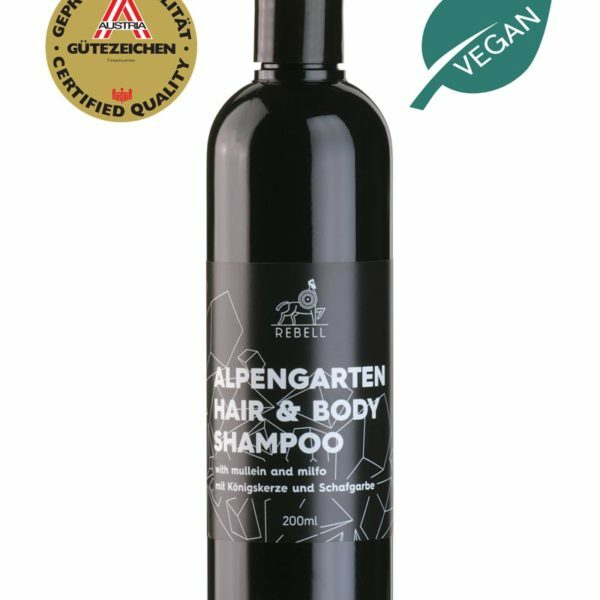 The vegan Hair & Body Shampoo based on a highly-dosed biological aloe vera essence develops a nice foam. This foam cleans the body and the hair thoroughly, hydrates and leaves you with a soft feeling. Skin and hair are now optimally prepared for the next stage of care.